Two days ago, a buncha crackheads broke into the tents out at the track, and a complete set of RX-7 rims for my FD were stolen. 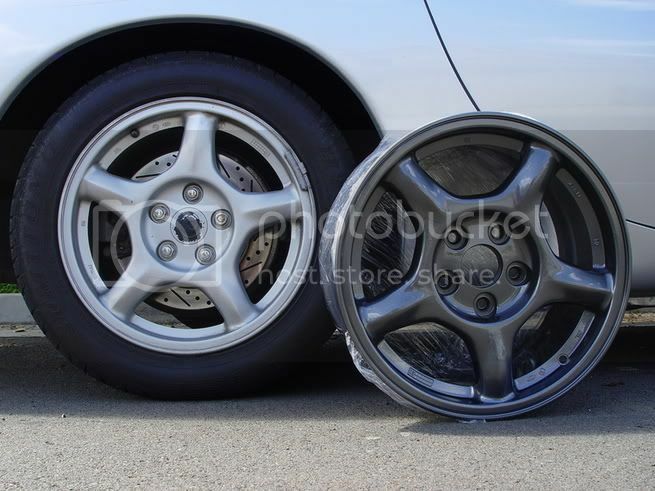 They're extremely easy to identify, as they're probably the only gunmetal-powder-coated FD rims on this island. I haven't even gotten to use them yet, and I'd like them back. 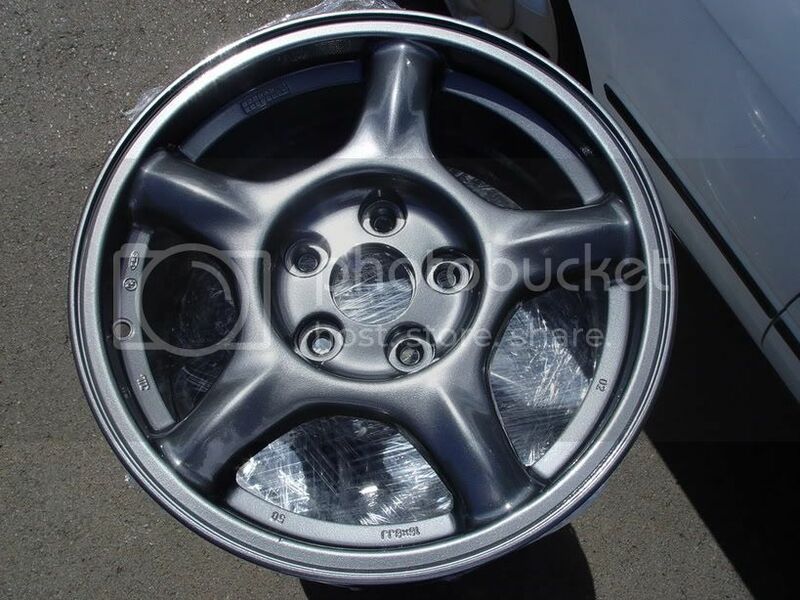 If any of you see any rims similar to this, I'd appreciate a call, as I can identify them by the markings on the rims that I put. 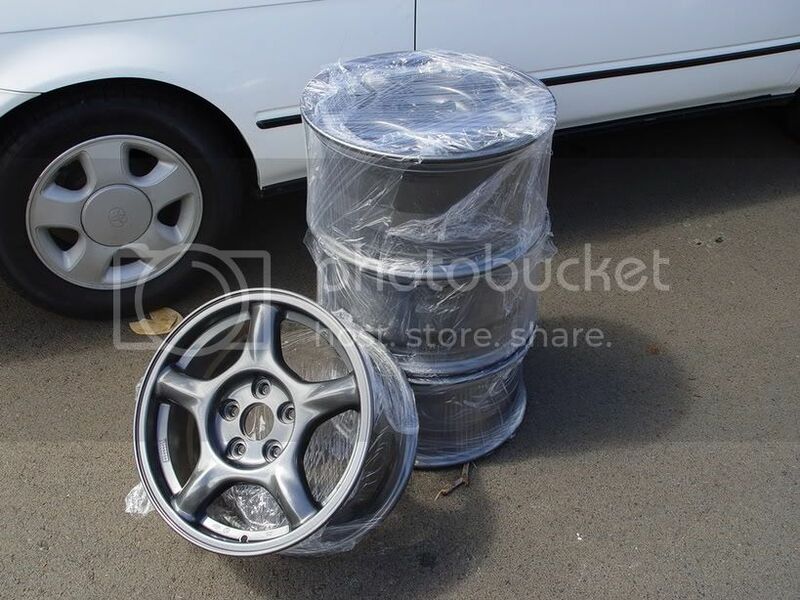 They also stole my other set of stock FD rims, and two of them were recovered at some beach somewhere by one of the track people. I'll be on the lookout for them, and I'm offering a $50 dollar reward (possibly more) for the return of them, no questions asked. You can reach my by phone at 847-3599. Thanks. Last edited by ArchangelX; 05-31-2006 at 05:23 PM. Dude, that's messed up. Why people gotta steal stuff? Grrrr. I hope you get your wheels back, Mike. Me, too. My RX-7 has no wheels at all, now. i swear...hawaii is getting worse and worse when it comes to crackheads and such. hope you get em back. i'll be on the lookout.